Catherine Harris-White, a.k.a. SassyBlack, has an extraordinary hustle: She cofounded the now-defunct duo THEEsatisfaction, put out a solo ep while in that group, and then released two extraordinary solo albums, all while ceaselessly touring. 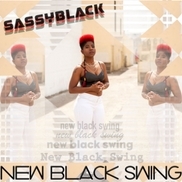 SassyBlack seems to change a little with every album, and New Black Swing is the realization of her personal metamorphosis. On New Black Swing, SassyBlack pulls back the veil that previously kept her emotions hidden from her audience. She’s gone from lighthearted takes on dating on No More Weak Dates to revealing the heartache of losing a beautiful love. The album begins with “Games,” a song about a floundering love affair, where she asks yearningly, “Why do you treat me this way?” This is what New Black Swing is all about: the slow end of a relationship you thought would last forever. My favorite track is “I’ll Wait for You,” which has cynical lyrics about allowing someone to use their career as a reason not to commit to your relationship. SassyBlack’s music has a timeless quality to it. 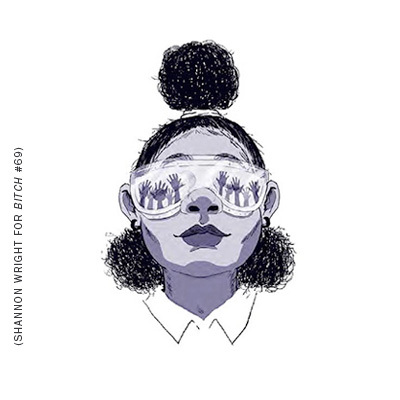 The classically trained jazz vocalist fittingly describes her music as “electronic psychedelic soul,” a genre that began in earnest with THEEsatisfaction’s EarthEE and continues in New Black Swing. She manages to merge her deeply rooted love for music history with stellar production, which keeps her sound anchored in the past and present. New Black Swing is an essential album. It gives me the same chills I felt as a preteen listening to Monica’s 1998 debut album, Miss Thang. SassyBlack is personally entering a new realm of self-reflection and self-realization, and pop music is better for it. I wanted the romance genre to have space for a character like Ginger.